The United Kingdom and Japan will push for the introduction of a new United Nations Security Council (UNSC) resolution against North Korea in response to its recent ballistic missile launch, Prime Ministers Theresa May and Shinzo Abe said on Thursday. May, who is currently conducting a state visit to Japan, released a joint statement with Abe in response to the August 29 launch of a Hwasong-12 intermediate range ballistic missile, which flew over Japanese territory and landed in the Pacific Ocean east of the city of Hokkaido. “North Korea’s recent ballistic missile launch on August 29, which passed over Japan, was an outrageous provocation and posed an unprecedented, serious and grave threat to Japan’s national security,” the joint statement read. “In response to this illegal action, Japan and the United Kingdom agree to work together to counter this threat, and to work with others in the international community to strengthen pressure against North Korea, including by increasing the pace of sanctions implementation and working towards the adoption of a new and effective resolution at the UNSC,” it added. The UNSC has already passed seven resolutions in response to North Korea’s ongoing nuclear and ballistic missile programs. 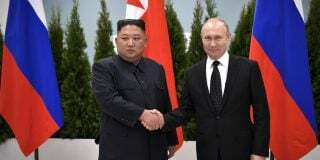 The most recent – Resolution 2371 – was unanimously adopted on August 5 in response to the July 4 and July 28 launches of an intercontinental ballistic missile. 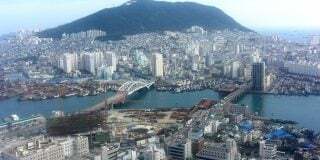 The expanded sanctions aimed to reduce North Korea’s export revenue by $1 billion according to the U.S. Department of State and targets the selling of commodities such as coal, iron and lead as well as seafood. While no details have yet emerged regarding what the new resolution would contain, South Korea has also expressed its support for the passage of new measures – as with May – in conjunction with the government of Japan. 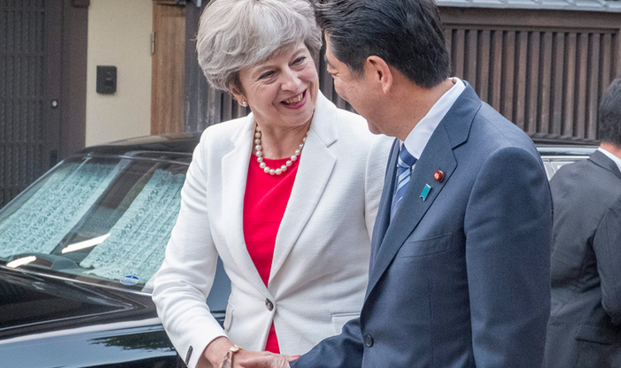 During her visit to Japan, May has also spoke separately about the North Korean issue in the wake of Tuesday’s missile launch, urging China needs to further curb the DPRK’s illegal activties. 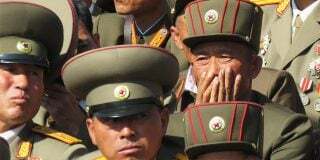 On Wednesday, the UNSC met in an emergency session to discuss Tuesday’s launch and while it unanimously condemned North Korea’s actions – no resolution was tabled. 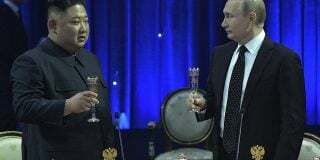 Both Russia and China reiterated their position that engaging in dialogue with the North is the only way to resolve the issue of its continuing nuclear and ballistic missile activities. A new resolution – should it be introduced – would need to be approved by the two countries, however this week, Russia’s state news agency ITAR-TASS published comments by Russian Deputy Foreign Minister Sergei Ryabkov who criticised the impact and effectiveness of further sanctions. “If we go by how colleagues from the U.S. and other western countries have acted in the past, then of course we can expect new steps towards tightening the sanctions, but this will not solve the problem,” Ryabkov said. Subscribe to read the remaining 517 words of this article.